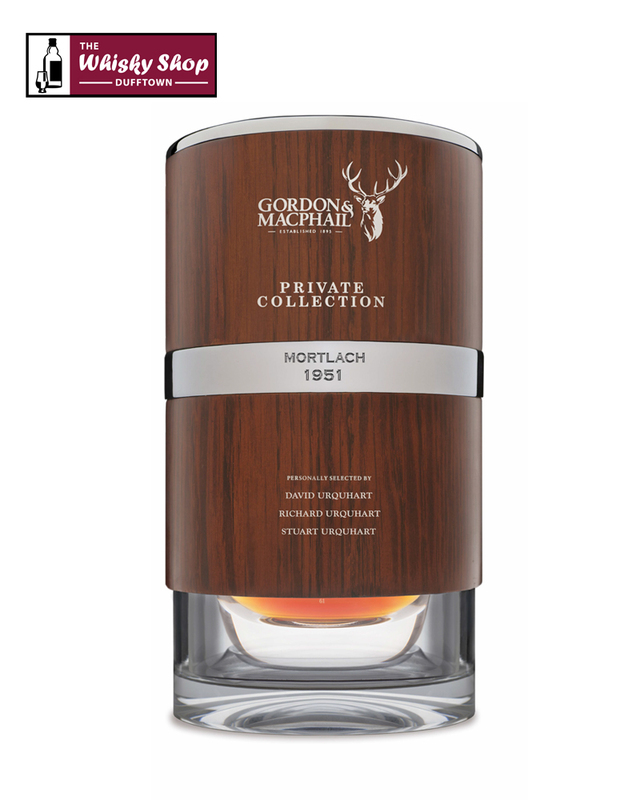 This Mortlach from Gordon & MacPhail is 63 Years Old. It was distilled in 1951 and bottled in 2014 from an ex-Sherry Hogshead, the company’s last cask of 1951 Mortlach, which produced 61 bottles. It was selected from the G&M warehouses by by retired retired joint Managing Director David Urquhart and his twin sons Stuart, Gordon & MacPhailÃ¢â‚¬â„¢s Whisky Supply Manager, and Richard, Export Sales Executive. 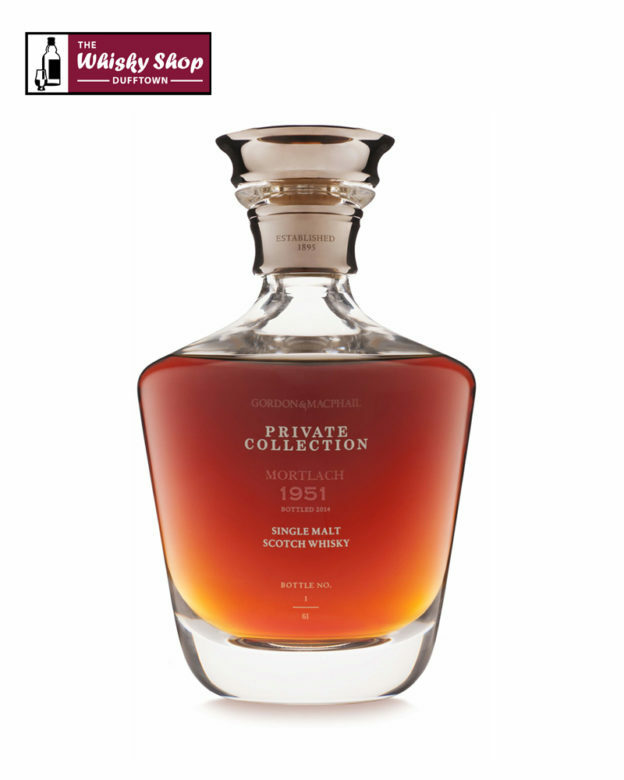 This Mortlach from Gordon & MacPhail is 63 Years Old. It was distilled in 1951 and bottled in 2014 from an ex-Sherry Hogshead, the company's last cask of 1951 Mortlach, which produced 61 bottles. 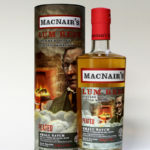 It was selected from the G&M warehouses by retired joint Managing Director David Urquhart and his twin sons Stuart, Gordon & MacPhailÃ¢â‚¬â„¢s Whisky Supply Manager, and Richard, Export Sales Executive. The whisky is presented in a unique silver plated stoppered glass decanter which is individually numbered and which is contained in an innovative glass, wood and metal container. This whisky is part of a series of 4 whiskies specially selected by members of the third and fourth generation of the Urquhart family, owners of Gordon & MacPhail. G&M: ItÃ¢â‚¬â„¢s got all the classic Speyside characteristics of rum and raisin, beeswax polish with an underlying rich nuttiness to it.